MOUNTAINEERS Greet Veteran's Flying into Maine - MOUNTAIN, LTD.
On Sunday, October 28th, a group of MOUNTAINeers located in Maine volunteered with the non-profit organization Honor Flight who help transport senior veterans to Washington, D.C. to visit and reflect on the memorials around the city. 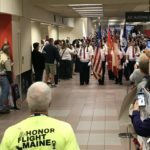 The Honor Flight Network was co-founded by Earl Morse, the son of a Korean and Vietnam War veteran, and Jeff Miller, a small business owner and son of a WWII veteran. 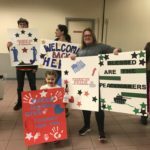 Volunteers greeted incoming veterans with signs, hugs, and lots of cheer. 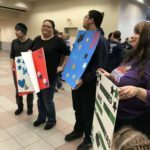 Additionally, MOUNTAIN staff who could not be at the airport sent their regards in the form of letters of appreciation that veterans were able to read on their flight to Maine. 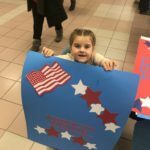 Thank you to all the staff that came to the airport and wrote letters to share thanks for everything that veteran’s have done in their time served. MOUNTAINeers also had the opportunity to aid veterans in another way shortly after the Honor Flight event. 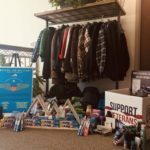 The event, “Movers for Military, allowed MOUNTAIN to partner with the business “Two Men and a Truck” who delivered donated items to homeless veterans at Preble Street Housing Services in Portland, ME. MOUNTAIN was featured on the the Preble Street website as a dropoff point. Veteran’s Day is a time to honor the courageous men and women who have proudly served our country. 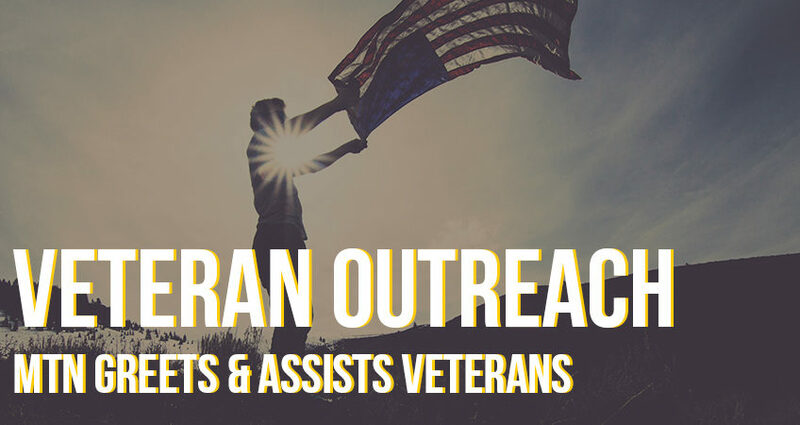 Unfortunately, many veterans are experiencing tough times and need the help of local shelters. 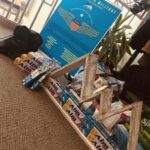 As the “Movers Who Care®,” TWO MEN AND A TRUCK® aims to provide critical assistance to local veterans in crisis with a program called Movers for Military – a collection of essential items that will be delivered to veterans living at local shelters during Veteran’s Day. Local TWO MEN AND A TRUCK® locations partner with schools, businesses, and veteran’s shelters to begin collecting essential care items each fall and deliver them to the shelters the week of Veteran’s Day. TWO MEN AND A TRUCK® is committed to the communities it is privileged to serve. Through the Movers for Military program, we hope to provide critical support to the brave men and women who have made tremendous sacrifices to protect our freedoms. Staff came together to requested items from the shelter. Thank you everyone who donated to the cause! MOUNTAIN was able to procure the following for drop-off.